rash, a bit nouveau, perhaps over-rated... whatever, you can't dismiss Verbier if you really want to hit some of the best slopes in the world. Switzerland's answer to the big ski circuses of France is a post-war invention, but the resort is nonetheless surprisingly attractive and the skiing and snowboarding is BIG. The off-piste and marked trails are demanding, but there is something here for everyone, although it is an expensive choice, especially for beginners or early intermediates who won't make the most of what the slopes have to offer. On the whole Nendaz is better for families, Veysonnaz for intermediates, Thyon for beginners - but Verbier is the destination of choice for party animals and adrenalin junkies. 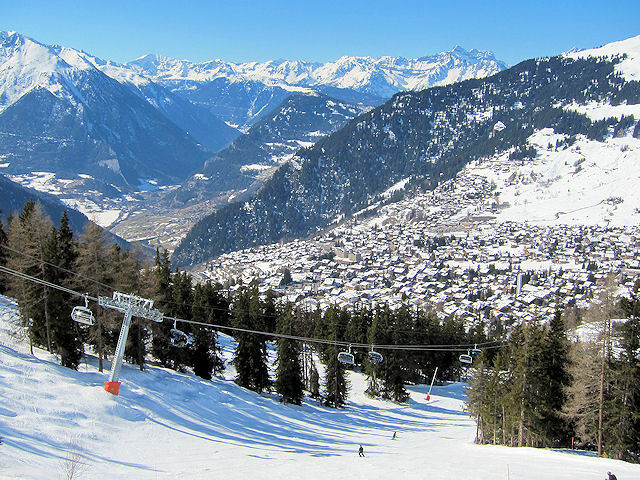 Verbier is relatively easy to get to, with good public transport links and a relatively short transfer time from Geneva. 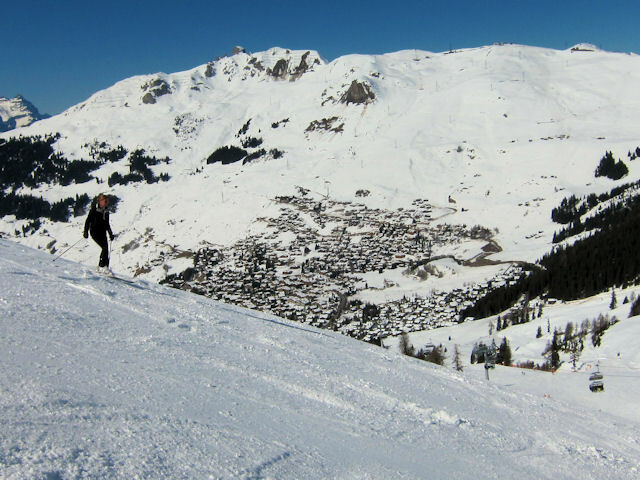 There are several lift passes available, the key decision to take if you are staying in Verbier is whether to get the Verbier pass (which excludes Mt Fort) or the whole 4 Vallées/Mont Fort pass. Verbier contrasts with much of the rest of the 4 Vallées in that the equipment is more modern, there are no surface lifts and the runs connect better. If you take the full pass, be aware that the circuit does not connect up as efficiently as it does around Verbier, and it can take you some time to get back. Much is made of the really very tough off-piste off the back of Mont-Fort and off Mont-Gele, but there are some good marked trails to try out too and they can often provide good off-piste conditions when there is fresh snow. The challenging wall down to Tortin from Chassoure is a must for strong intermediates to test themselves and the Vallon d'Arby trail to La Tzoumaz and the surrounding off-piste is exceptional. There are also some excellent runs for less adventurous intermediates too, such as the piste from Les Attelas down to Verbier. The runs down from Les Ruinettes and on Savroleyres include some nice blues. For lunch try out the celebrity-owned La Vache (+41 277 713291), at the top of the Attelas chairlift, for reasonably priced pizzas and burgers. 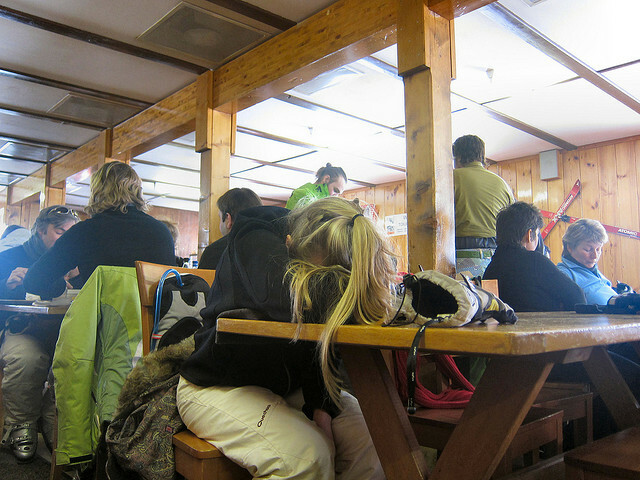 I love the goulash soup in Cabane Mont-Fort, above La Chaux (+41 277 781384). If you want to splash out, there is an excellent Michelin One Star restaurant in the village itself, Chalet d'Adrien (+41 27 771 62 00) and also Chez Dany (+41 27 771 73 48) is highly regarded. Book well in advance. A nice delicatessen with healthy food is the Lacucina, located just off the main roundabout at Place Central. The liveliest place to start après ski is Bar 1936 below the Mayentzet chairlift, or Fer à Cheval in Verbier itself. Pub Mont Fort is definitely the place to people-watch and party while Farinet (down from the Medran gondola) got voted by the Daily Telegraph as one of the ten hottest apres spots in the world. The best destination to access the downhill slopes by public transport in this ski area is Le Châble. Station adjacent to gondola. Voucher only covers the Verbier area, not the full 4 Vallées for which a small additional charge is made at the lift station. Ensure the ski pass you get given with your voucher covers all areas if you want to explore the whole ski area. The resort operates the Snow'n'Rail scheme, providing a 20% discount on the combined travel ticket and lift pass. From Zurich the least travel time is 3 hrs 17 mins with as few as 2 changes going via Visp or Lausanne / Martigny. Typically, an adult one day combined ticket is 224.80 SFr, reduced to 144.40 SFr with a Half-Price card. From Basel the least travel time is 3 hrs 21 mins with as few as 2 changes going via Visp or Lausanne / Martigny. Typically, an adult one day combined ticket is 212.00 SFr, reduced to 138.00 SFr with a Half-Price card. From Berne the least travel time is 2 hrs 32 mins with as few as 2 changes going via Visp or Lausanne / Martigny. Typically, an adult one day combined ticket is 172.40 SFr, reduced to 120.00 SFr with a Half-Price card. From Lausanne the least travel time is 1 hrs 19 mins with as few as 1 changes going via Martigny. Typically, an adult one day combined ticket is 127.60 SFr, or 97.60 SFr with a Half-Price card. From Luzern an adult one day combined ticket is 215.60 SFr, or 141.60 SFr with a Half-Price card. Indicative prices are for travel to Le Châble. Click here to find prices for other destinations. Under the combined ticket scheme the additional charge for a two day pass is 62.00 SFr. The road distance from Zurich is around 278 km and the journey time is roughly 3 hrs 10 mins. The road distance from Basel is around 251 km and the journey time is roughly 2 hrs 50 mins. The road distance from Berne is around 157 km and the journey time is roughly 1 hr 45 mins. The road distance from Geneva is around 162 km and the journey time is roughly 2 hrs . The road distance from Lausanne is around 98 km and the journey time is roughly 1 hr 15 mins. The road distance from Fribourg is around 127 km and the journey time is roughly 1 hr 30 mins. 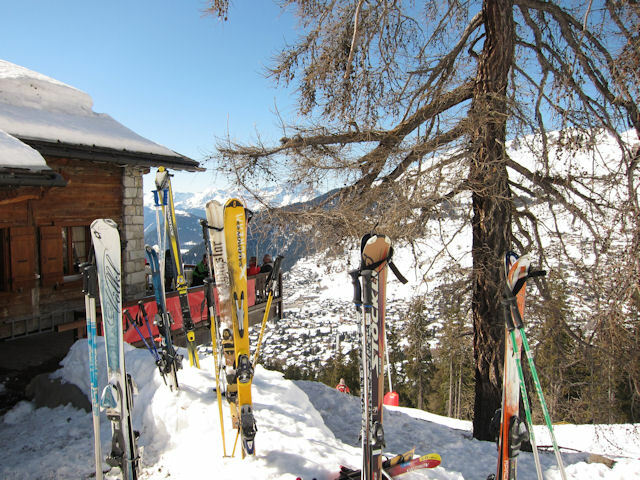 Other resorts in the ski area include Les Masses, Nendaz, Siviez, Thyon and Veysonnaz. $$$ Hôtel du Rhône, Sion (3*) Covenient for the centre of Sion and the station, with guest parking. $ Sion Youth Hostel, Sion (Hostel) Convenient for station, sadly not open until late March..
$ Dzardys Bar & Backpacker, Le Chable (Hostel) At the foot of the gondola up to Verbier. $$$$$ Chalet D'Adrien, Verbier (5*) Small, exclusive establishment famous for it's restaurants. 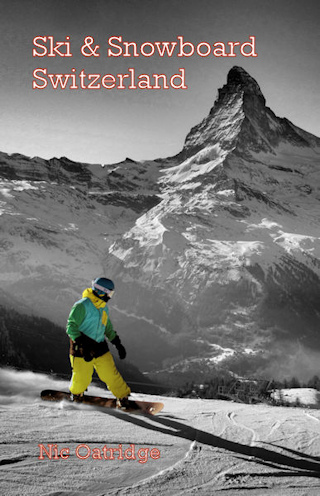 $$$$$ W, Verbier (5*) Winner of the 2016 World Ski Awards Best Ski Hotel in the World. $$$$$ La Cordée des Alpes, Verbier (4*) Hotel favoured by royalty.